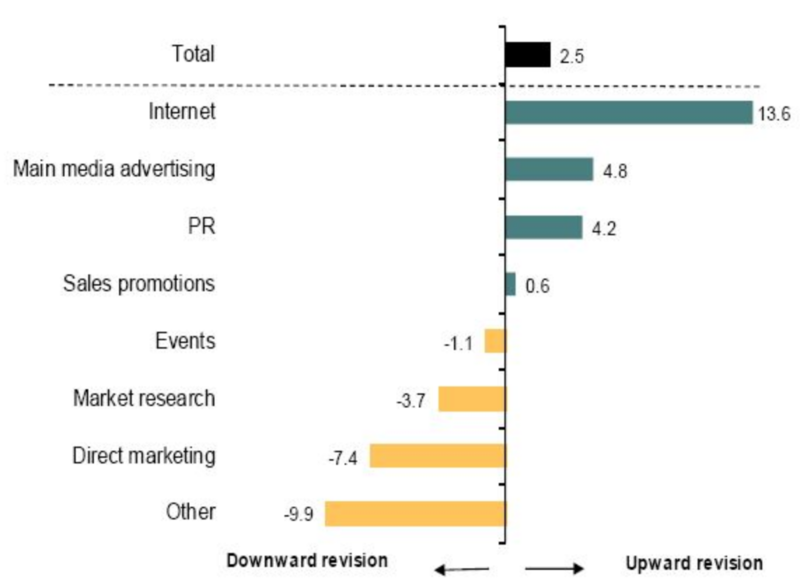 Total marketing budgets were revised higher during the third quarter of 2018, extending the current period of growth to six years, but to the weakest extent in almost three years. This is according to the Q3 IPA Bellwether Report, published last week (17 October). The report, which has been conducted on a quarterly basis since Q1 2000, shows that almost 21% of panel members revised total marketing budgets up in Q3, while around 18% observed a decline in spending plans, yielding an overall net balance of +2.5%. 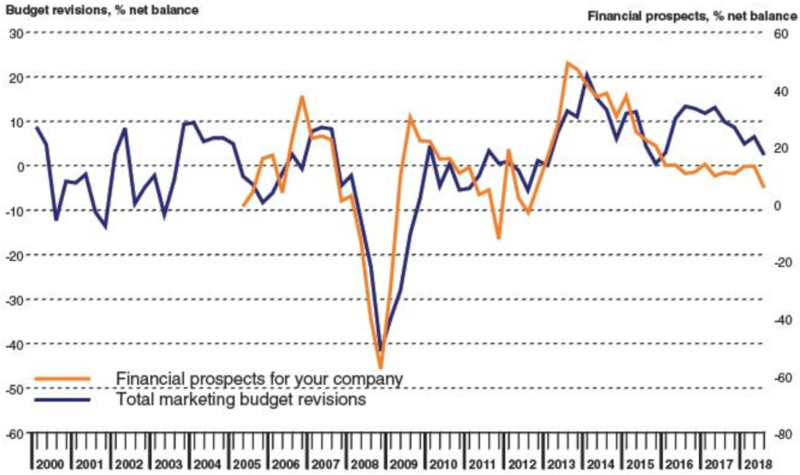 Although positive overall, latest data signalled the weakest growth in total marketing budgets since the fourth quarter of 2015, with the net balance down from +6.5% in Q2 2018. An increasing onus on firms to engage in digital forms of advertising drove yet another strong quarterly expansion in internet-based marketing during Q3, as signalled by a +13.6% net balance of firms observing upward budget revisions. The finer details also revealed that search/SEO and mobile marketing budgets also received boosts (net balance of +5.8% and +1.9% reporting higher expenditure, respectively). Marketing executives were again given more discretion over spending plans on large scale marketing campaigns, such as those relating to TV, radio, or cinema. The net balance of firms observing budget increases for main media advertising was broadly unchanged from the preceding quarter at +4.9% (+4.8% in Q2). ExchangeWire spoke exclusively with some of the online advertising industry’s top thought leaders about what the latest report means. Oliver Whitten, COO, Adform, says: “The Q3 2018 IPA Bellwether report highlights an increasing trend for consolidation within the digital advertising industry. With growing uncertainty weighing on budgets, CMOs need to be sure they are as close as possible to the decision making process, applying knowledge of the technologies they employ in tandem with future innovation as the industry develops. According to Andy Evans, CMO, Sovrn: “The slower growth outlined in the report means buyers will continue to be more astute about their purchases, as well as whom they are buying from, so industry accreditations should continue to become more important in the future. Lindsay McEwan, VP & managing director EMEA, Tealium, tells us that “the ambiguity of the changing economic landscape has understandably led to many organisations treading carefully when it comes to planning and managing marketing budgets. But, with companies increasingly turning their focus to creating positive and long-lasting customer relationships, there is a shift towards harnessing the power of data. Businesses are more frequently using insights to drive strategic decision making, not just in marketing efforts, but across the entire business. Wayne St. Amand, CMO, Visual IQ, explains that: “Most marketers today must do more with less. Faced with steep competition, and an increasing number of ways to reach consumers, they need to spend every penny wisely. Setting the right marketing budget is critical; yet most marketers resort to cobbling together spreadsheets or simply adjusting the previous year’s budget. As a result, they don’t have much confidence in their budget allocation decisions. Simon Harwood, head of strategy, The7stars, also feels that negotiations over leaving the EU are impact the industry. He says: “As we enter the final throes of Brexit negotiations, advertisers are beginning to tread ever more cautiously. This is evidenced by budget cuts across the spectrum. “With the next six months piqued to be less stable than ever, the priority for advertisers moving into next the quarter must be to maintain the positive brand perceptions they’ve worked so hard to build. Any break in communications can have a detrimental impact on sales in the long term; so ensuring consistency by maintaining advertising budgets, and thinking smartly about when to spend on short-term focused activation channels, will be key to this”. Thomas Byrne, SVP agency services, EMEA, Merkle, adds:“After a period of strong growth in marketing expenditure, there is now a degree of uncertainty, due to Brexit and the continued impact of GDPR legislation. However, we see this as a valuable opportunity for brands to prioritise the quality of their marketing campaigns, which will consequently welcome in loyal and trusting consumers. By using compliant, streamlined data, brands will be able to engage in a mutually beneficial conversation with their customers – building a robust and transparent relationship in the process. Hugo Drayton, CEO, Inskin, says that “the advertising landscape will continue to evolve, with agencies increasingly under pressure from brand owners, publishers, and intermediaries, as technology and transparency now start to deliver real benefits and efficiencies. Programmatic has become the default digital advertising delivery vehicle, so the role of the exchanges and data providers (post-GDPR) is under more scrutiny, and will doubtless lead to accelerated consolidation in the industry. Chris Bennett, managing director, EMEA, Pixability, says that: “The continued viewing shift from traditional linear broadcast models to on-demand connected TV will be reflected by further investment in new players in the sector. Equally, whilst not without their own pain, Google and Facebook will continue to grow having invested significant energy towards placing video at the heart of their ad solutions. Similarly, Katherine Munford, managing director, D2D, adds: “Given the challenging market conditions, there will be an increased focus on maximising the return on marketing investment and marketing effectiveness will become even more important for brands. “It’s encouraging to see marketers making upward revisions in traditional media investment as well as digital spend. 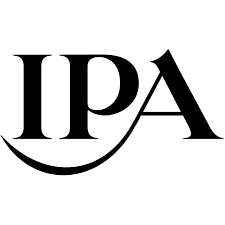 As demonstrated by the recent IPA Effectiveness wins, including Guinness and Baileys, TV continues to play a central role in driving return on investment in both the short and long term. Digital advertising is more transparent/measurable and marketers value the ability to understand exactly what their ROI is for a given campaign, reaching specific audiences. At the same time, audiences are spending more time online, so marketers increasingly need a digital strategy to be able to reach their customers at a time when they are open and willing to engage with their brand. Carl White, co-founder & global CEO, Nano Interactive, adds: “Despite uncertainty weighing heavily on marketing budgets this quarter, search continues to act as an effective barometer of digital growth, the latest Bellwether report shows. Jo Lyall, MD, Mindshare UK, feels that: “The report revealed that the adoption of technology will bring in new innovation, which is undoubtedly due to the prolific growth in digital advertising and internet-based marketing. It’s interesting to see that in contrast to the last quarter, we’ve seen a boost in SEO and mobile marketing budgets with a net balance of +5.8% and +1.9% reporting higher expenditure, respectively. “With mobile marketing continuing to develop, brands will be able to localise messaging to the right level, as well as become rooted in the local community by having a physical presence. According to Harry Harcus, UK & pan regional managing director, Xaxis: “While it is understandable that some businesses may be cautious when planning media budgets for 2019, marketers can ensure spend is working to its greatest potential by aligning business objectives with an outcome-driven approach to media. Meanwhile, Geoff Smith, CMO, Rokt, says that: “Uncertainty is taking its toll on budgets and the pressure is on for marketers to spend smart. To get the most bang for their buck, marketers need to invest in technology that enables them to reach relevant in-market customers and provoke the next best action from them.